Riverview Simsbury Wedding Photos capture the magic that is present at every wedding held in this venue. The Riverview was built only a few years ago in 2008, and is located in the picturesque Weatogue area of Simsbury, Connecticut. The venue is glamourous and modern, but also includes classical architecture that gives the building an older feel. Couples and guests at a Riverview wedding will be dazzled by the majesty of the grand ballrooms, and the lofty entrance lobby. The venue also included luxurious bridal suites for the bridal party to use as a space that is separate from the rest of the reception when needed. Riverview Simsbury Wedding Photos capture the first and most memorable parts of a couple’s happily ever after. 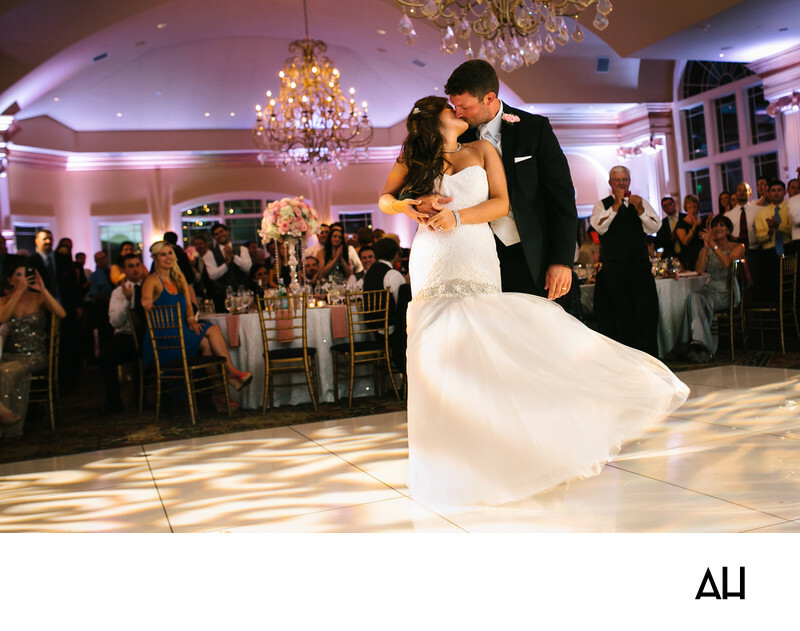 The couple pictured here is sharing their first dance as newlyweds, while family and friends look on affectionately in one of the venue’s magnificent ballrooms. The room is enchanting, with intricate crystal chandeliers hanging from the ceiling above, casting light and playful shadows around the couple as they dance. The bride is stunning in a mermaid style gown, and her hair tumbles gracefully over her shoulder. The couple share a kiss mid-dance, and in that moment it is as if they are the only two people in the room.